The correspondent, who monitored the UTME in Awka on Friday, reports that the affected candidates for the examination were walked out of the hall because the computers could not confirm them as candidates. Some of the candidates who spoke to NAN expressed shock that the computers rejected them after printing out their details. Miss Chiamaka Okoro said she registered for the UTME with a centre at Basilica of the Holy Trinity center at Onitsha but was asked to leave the hall when the computer could not confirm her candidacy for the exam. Okoro said that she had lodged her complaint at the Joint Admission and Matriculation Board (JAMB) office in Awka as was directed by its official at the centre. Mr Paschal Okoro, the father of the candidate, described the experience as `embarrassing’ saying that a letter had been submitted to the Abuja office through Awka JAMB office. He called on the examination body to work on the correction process as soon as possible to enable the students participate in the ongoing examination. 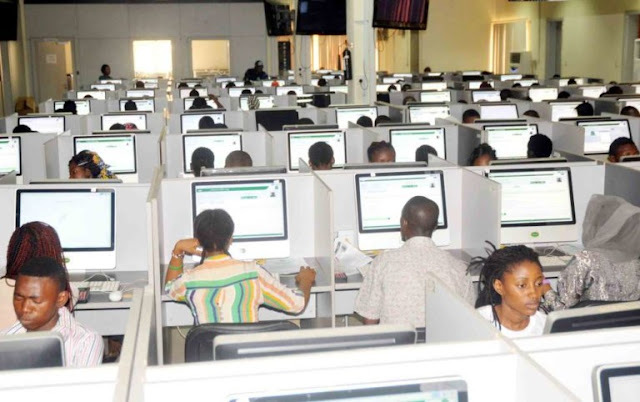 Miss Francisca Onuzulike said that her details was not also confirmed at her exam centre adding that she had already lodged her complaints to JAMB. Onuzulike however, said that there was no specific assurance from JAMB officers but that her complaint was documented in a paper given to them. Miss Amarachi Orjiaka said that her thumb print was not popping up during her verification at her Army Day centre in Onitsha which led to her not taking part in the April 11 examination scheduled for 7am. Orjiaka said that the mix up was very demoralising and appealed to the examination body to take quick action and create a date for her own examination. Meanwhile, Miss Ngozi Nwude a senior officer at Integral Development Consults IDK,Computer Based Test (CBT) approved centre in Awka metropolis said that the UTME was moving on well in the centre Nwude said that some of their candidates had thumb print confirmation problem and that their records had been taken and incident form given to the affected candidates to fill for actions to be taken by the appropriate body. She said outside the thumb print confirmation that there was no other problem encountered so far while the examination progressed. Miss Charity Uboma, a candidate of the centre told NAN that she experienced no hitches while answering her questions. Miss Grace Kachi, another candidate from the IDK centre said that she preferred the CBT to pencil and paper examinations.